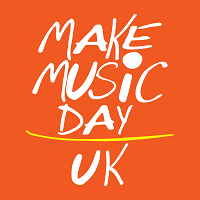 Join us alongside King’s Lynn Festival and representatives from Make Music Day UK on Monday 21 January in King’s Lynn to hear about how you can get involved in Make Music Day 2019. We’re looking to gather together a range of musicians, music groups, arts organisations, venues, businesses – anyone interested in turning Make Music Day into something huge in Norfolk! On 21 January, there will be an opportunity to hear about Make Music Day and plans for 2019, discuss ways to get involved, network and form partnerships. In 2018, 91 performances took place in Norfolk in libraries, schools, town centres, museums, hospitals and arts centres for Make Music Day UK, which was the most performances than any other county in the UK apart from London! Read more here. If you cannot attend but are interested in getting involved, please join the Norfolk mailing list here.